Spring Chinook season in Oregon has got off to a good start with fish hitting the deck of the new boat every trip. 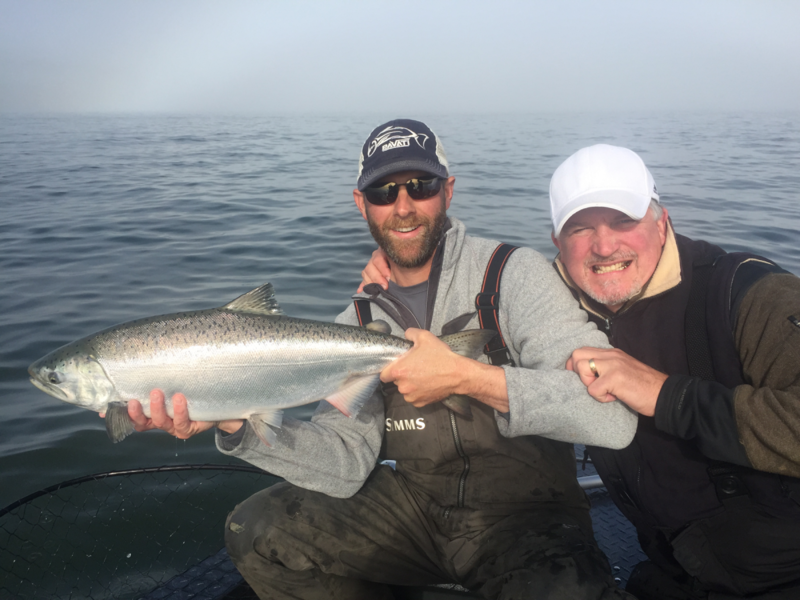 The Lower Columbia River is now closed, but it provided our clients with opportunities to catch the most prized Salmon in the Northwest through March and most of April. Focus is now switching to the Multnomah Channel and Willamette River for these hard fighting fish. On the Channel we will be trolling Herring and covering ground to locate our biters. In sections of the Willamette we will also troll, but as we move upstream to Oregon City, our focus will switch to Back Bouncing Eggs and Diver/ Bait. I expect the Spring Chinook season to fish well into mid May this year on both the Multnomah Channel and Willamette below Oregon City. As the river begins to warm, the fish will move fast upriver. Our next focus area will be on the McKenzie River. We will be here mid May till June 18 when I leave for Alaska to guide on the Nushagak River. I will also be offering Umpqua River Spring Chinook Trips through End of April and May. In other words, I will be wherever the best bite is. A side note, WVO had an article published about the Umpqua River and Spring Chinook Fishing. You can find it in the latest issue of Salmon & Steelhead Journal. April-May Volume 12, Issue 2. Don’t miss out on your chance to catch these great eating fish.